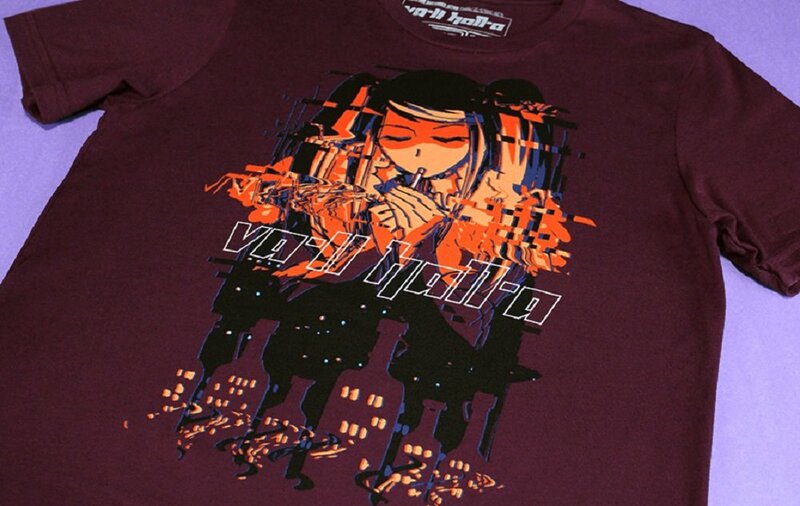 Video game merch providers Fangamer have gotten in a small batch of paraphernalia based on the fantastically atmospheric indie-hit Va11 Hall-a: Cyberpunk Bartender Action. The gear, available now for pre-order, includes a smart pin badge, a pint glass and coaster set and, best of all, a slick new shirt, by designer Nina Matsumoto, which features the face of hard-working, hard-living protagonist Julianne Stingray, better known to her friends and troubled patrons as "Jill". The Va11 Hall-a shirt and other items can be pre-ordered now over at the Fangamer site, the pint glass set and pin badge are available now, but the shirt won't be shipping until later in Septemeber. Va11 Hall-a: Cyberpunk Bartender Action is available now on PC and PS Vita, coming to PS4 and Nintendo Switch in early 2019.